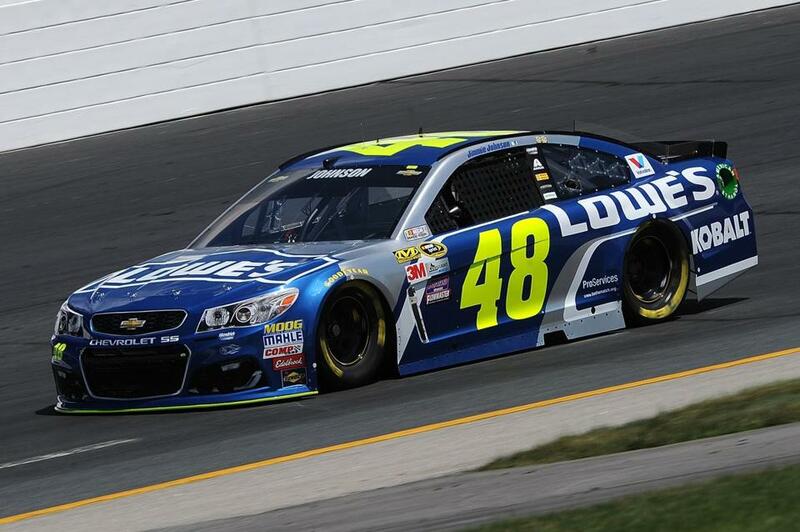 Jimmie Johnson took the pole with a lap of 28.430 seconds (133.971 miles per hour) in the final round of qualifying. In his younger days, if there was something so noticeably off about Jimmie Johnson’s No. 48 Lowe’s Chevy the way it was at the end of Friday’s practice session for the New Hampshire 301, Johnson would’ve spent hours wracking his brain to figure out what the issue was. It was perfectly fine when he and his team unloaded it in the morning. It ran well during the early practice laps, but on the final set of tires, something felt strange. His team had adjustments to make. Johnson had to clear his head. So he grabbed Matt Kenseth and they hopped their bikes and took a 32-mile ride. He made it back not even two hours later, ready to press the reset button. The crew couldn’t find anything wrong with the car. We did not find anything broken or wrong. He put it all behind him and put up his best ever qualifying performance New Hampshire Motor Speedway, taking the pole with a lap of 28.430 seconds (133.971 miles per hour) in the final round of qualifying. It was the 35th career pole for the six-time Sprint Cup champion, but his first of the season, and his first in 29 races in New Hampshire. “Any time you’re fast, it’s a huge boost,” Johnson said. “Especially to come through the trying practice session that we had. The big question mark was, ‘What happened?’ I mean, the car was a half-second faster on scuffed tires than it was when we put the stickers on to go at the end. Even though he’s ninth in the points (484) with two wins, six top-5 finishes and seven top-10s, the season’s been a rocky one for Johnson. He crashed into the wall 31 laps into the Quaker State 400 in Kentucky last week, failing to finish the race for the third time this season. But starting at the front of the pack at New Hampshire Motor Speedway, where track position is critical, was a chance to regain some momentum. Kyle Busch will start next to Johnson on Sunday after posting a time of 28.460 (133.830 m.p.h.). He ran the fastest lap of the day in the second round 28.407 seconds (134.080), but wasn’t completely pleased with the way his car performed. They’ll both have to cool off the hottest driver in the field, Brad Keselowski, who clocked in at 28.704 (132.692) to start him ninth on Sunday. He’s coming off back-to-back wins, has four victories total this season, and he’s finished in the top 10 in eight of his 13 starts in New Hampshire, with a victory in 2014.